Together with Logitech's MX Master mouse, Craft keyboard and Brio webcam, Logitech's MX Sound 2.0 Bluetooth speakers form the company's premium computer accessory line. While they're described as bluetooth speakers, they're primarily designed to serve as your regular desktop speakers. However, they offer the extra capability to use them as a bluetooth speakers for your phone or laptop. Like advertised on the website, each element of the MX Sound has been carefully selected from the high-end drivers to premium fabric to the motion activated back-lit controls. This all sounds very well, especially for a 100 euro price tag. Read the review below to find out what to expect from Logitech's premium speakers. The speakers are well packed including the speakers, stereolink, aux cable, warranty info and a power adapter. A quick install guide is displayed on the carton flaps from the box. Visually, the speakers offer a pretty good looking and unique design. With dark-gray/grey patterns, it certainly fits modern desktop installations. While the looks are artistic, the design is also practical as it has a circular case to house the drivers and a cylindrical bass port facing to the rear that is used to balance the speaker. The speaker is positioned in a small angle to put the desktop user in the perfect audio spot. Rubber stripes on the bottom prevent the speakers to slide on heavy bass tracks. One speaker is the mirror image of the other. They're connected with a 3.5mm stereo link cable which is hardwired to the left speaker. Also the AC power port and 3.5mm ports for PC/Aux/headphone(output) can be found at the back of the right speaker. MX Sound's Bluetooth feature allows you to wirelessly connect to the speaker with your phone, laptop or other compatible device. Even when the speaker is connected to your pc, you can still choose to stream music from your phone,.. . By moving your hand a few inches from the right speaker, the otherwise invisible bluetooth sign will light up, as well as the volume controls. Touching the bluetooth sign will make the MX Sound search for bluetooth speakers. We encountered some problems with the touch mechanism used to press the volume/bluetooth buttons. It was quite difficult to find the right spot to touch effectively. Another problem we encountered is the fact that if you put in the PC audio jack and start playing music, it doesn't disable the bluetooth channel, which results in two audio sources playing simultaneously. This shouldn't happen, especially not with 'premium' speakers. You can pair up to 2 devices through bluetooth simultaneously and the Logitech's Easy-Switch technology allows the user to toggle between them by simply pausing one device. There's no built-in mic, which should be a standard feature in bluetooth speakers. Also for desktop use it could come in handy if you don't have a headset or mic near you when calling over skype or other voice-chat tools. The MX Sound consumes 24 watts of power to deliver a rich and and warm sound with clear stereo separation. Intense sub-bass content is covered reasonably well at moderate levels, but we've had some bass-heavy tracks that distorted a tiny bit at high volume. Overall, the sound signature feels crisp especially on some guitar tracks. There's a subtle bass boost for low frequencies that doesn't unbalance the sound. While bass is well present, it lacks response in really deep bass tracks. A speaker setup with dedicated sub-woofer will definetily offer more thrill in those tracks, those setups also support adjustable bass (and sometimes treble). Tracks with lower manly voices get a strong boost, but thanks to the solid high/high-mid presence it's not too overwhelming. We noticed that on tracks, especially in games, where low-mid frequencies are overly active, you get a somewhat muddy overall sound. If you compare the speaker to a casual desktop or built-in speaker, there're certainly quite some improvement. Logitech's MX Sound certainly has some features that lack functionality, like bluetooth that doesn't disable the 3.5mm inputs resulting in 2 audio channels playing simultaneously. Another feature that doesn't work properly is the sense of touch for the onboard bluetooth and volume buttons. Those "start-up" problems shouldn't be present in a premium desktop speaker especially for this price tag. Overall, the speaker looks great,is well designed and fits perfectly in a modern desktop setup. In terms of audio performance, it's a decent 2.0 speaker delivering a rich and warm sound with clear stereo seperation. The sound signature is crisp, but we heard some distortion on bass-heavy tracks and really low frequencies are lacking bass response. In tracks where low-mids are overly present, the sound can get somewhat muddy. 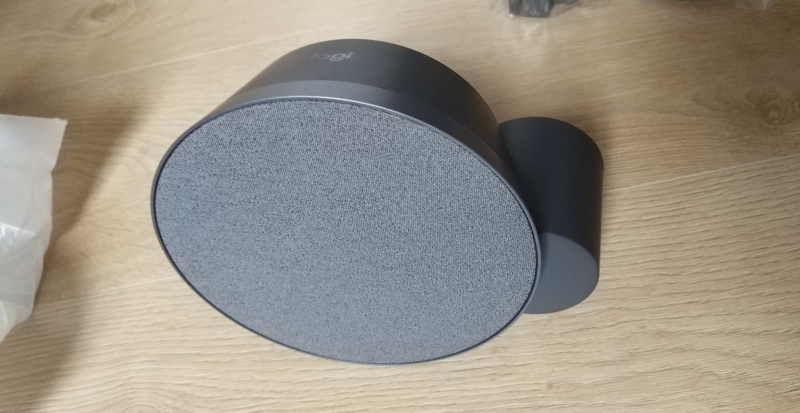 When we compare the MX Sound to a casual desktop speaker, it's a noticable improvement. For the price, there are still better solutions (like speakersets with dedicated subwoofer).